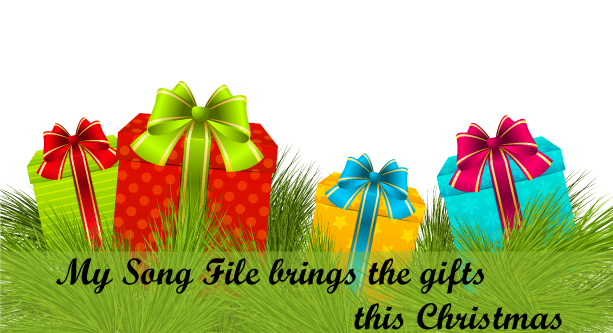 Christmas is just around the corner and My Song File is here to help you get in the spirit of the season! Even if your school doesn't celebrate religious occasions, there is something here for you. We have a new type of worksheet for practising transposition for older students. Ding Dong Merrily On High (Transposition) is available free for a limited time. Each download in this category has four transposition worksheets to choose from, and answer sheets. Frosty Weather (Transposition) is another new transposition worksheet that is also available free for a limited time. Using the pentatonic scale makes it a little easier, and it is suitable for schools which don't celebrate religious occasions. Cradle Hymn is a beautiful, simple lullaby written in natural minor. It is appropriate for this time of year but can be sung all year round. There is also a related Melodic Dictation worksheet (available for our subscribers). Jingle Bells is a great traditional Christmas carol and it joins the many, many other carols on My Song File, the vast majority of which are free! Old MacDonald Had a Farm (Singing Story) – Old MacDonald even has a reindeer on his farm! See below for a selection of Christmas and holiday resources - available free for a limited time. You want more!? Browse our huge list of Christmas carols and worksheets or search for something specific here. This sprightly Christmas Carol is an age-old favourite. This is a beautiful, simple lullaby written in natural minor. A set of 4 step-by-step transposition worksheets and answer sheets for 'Ding Dong Merrily On High'. A set of 4 step-by-step transposition worksheets and answer sheets for 'Frosty Weather'. The traditional version with the illustration for each day showing one less present under the Christmas tree and one more bauble on the tree.